Free download for a limited time. It requires a name and email address for download, but please be assured that we will never sell or share your information. You can also purchase this book on Amazon. On a beautiful Sunday morning in Lauele Town, Hawaii, all Kahana wants to do is jump in the ocean and catch some breakfast. Too bad there’s something in the water that wants to eat a skinny old man. 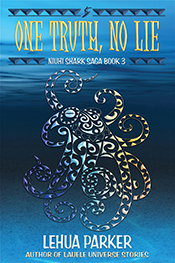 Unnerved, Kahana and ‘Ilima decide to comb the reef and look for ‘opihi instead. What they find changes everything. 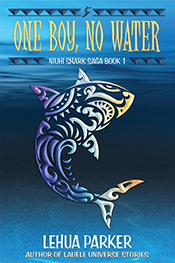 In One Boy, No Water Uncle Kahana told one version of Zader’s birth. In this novella more of Zader’s remarkable story is revealed of how he came to be part of the Westin ‘ohana. 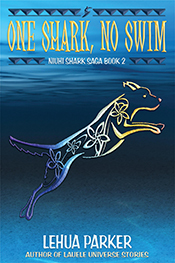 While this novella is a companion piece to the middle grade/young adult Niuhi Shark Saga, the themes and content will appeal to a more mature audience. 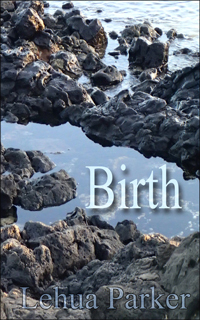 There are two versions of Zader’s birth story in this eBook. The story is the same, but the language used in much of the dialogue is different. The first version is written in Standard American English and assumes the reader isn’t familiar with Hawaiian island culture or the local slang’s commonly used phrases and words. The second version uses Hawaiian Pidgin English and Hawaiian words and phrases without explanation. If you know the difference between makai and mauka and what a loco moco is, you know which one for pick.